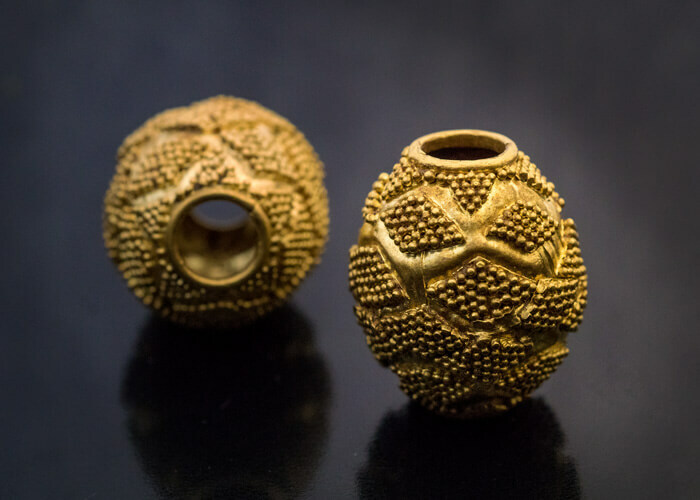 This fine and rare pair of ancient Hellenistic Greek barrel-shaped solid gold beads is embellished with triangular and rhombus shaped granulations. Weight 11.84 and 10.83 grams. The beads are 24 mm (15/16 in.) long and 20 mm (13/16 in.) wide. Metal analysis report: 76.88% pure gold, 20.86% silver, 2.21% copper, 0.05% nickel. 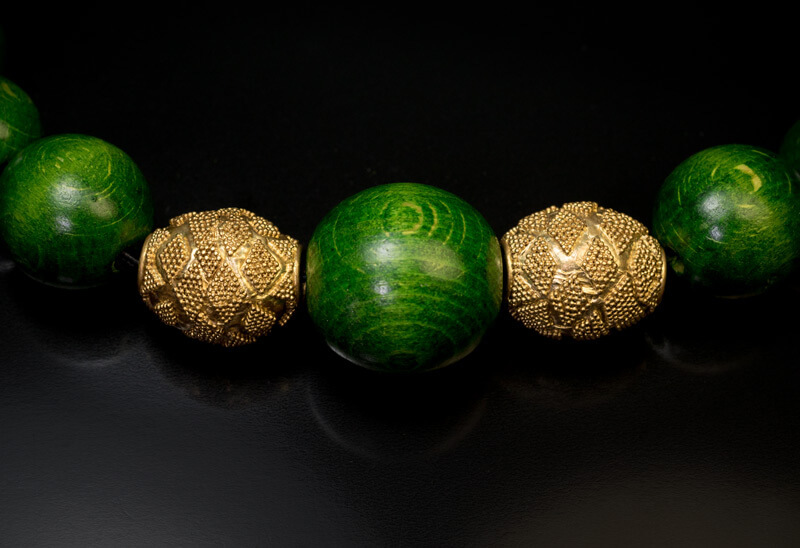 The gold beads are shown on a modern wooden necklace. They would also look great on any chunky necklace, such as one with big pearls or colored stones or simply on a leather cord. 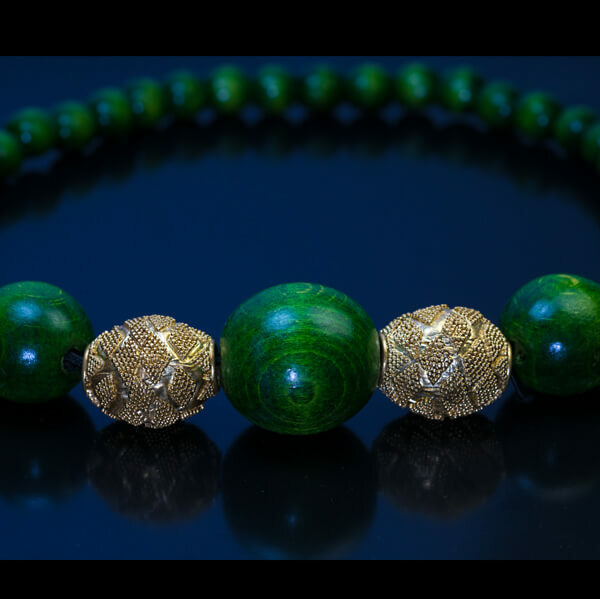 The addition of these beads would make any necklace unique. 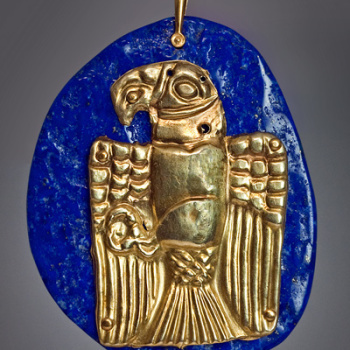 Originally, such beads were worn on thick twisted wire gold chains. 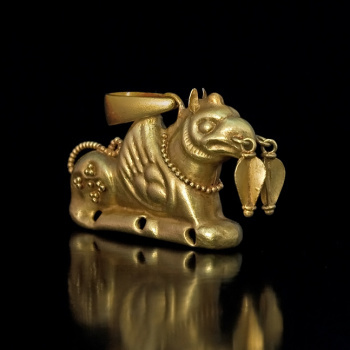 For comparable large gold beads hanging on chain necklaces see Greek Gold Jewelry of The Classical World. 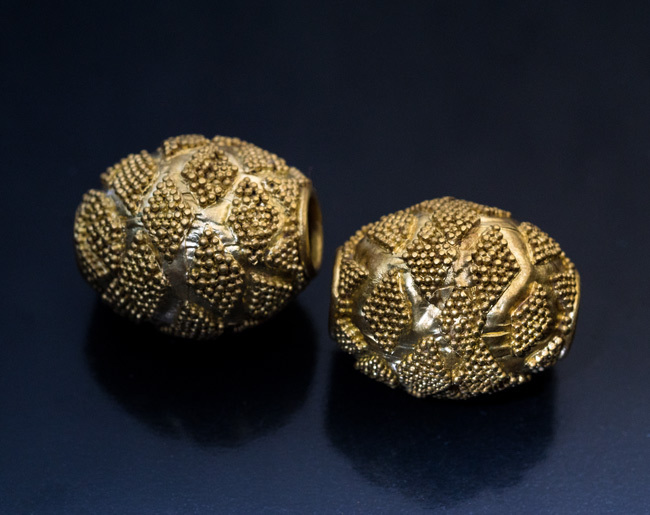 A gold Hellenistic finger ring dated to 4th-3rd centuries BC with similar combination of triangular and rhombus shaped granulation clusters is published in Collecting Greek Antiquities by Herbert Hoffmann (Figs. 180a, 180b, 180c, 180d). 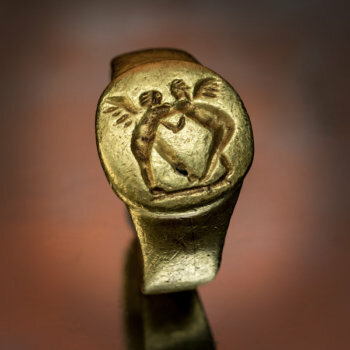 The Hellenistic period is the period of ancient history between the death of Alexander the Great in 323 BC and the emergence of the Roman empire (traditionally dated to 31 BC). 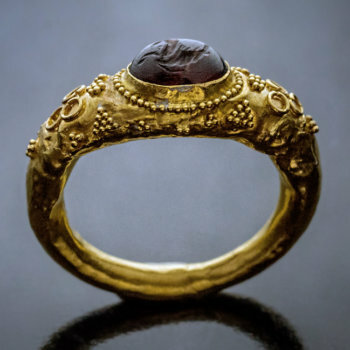 During that period the Greek culture was at its peak. It heavily influenced hellenized cultures of the lands conquered by Alexander the Great (Middle East, Southwestern Asia).